At the Cancer Support Community we understand that cancer doesn’t just strike the patient – it affects the entire family. That’s why we have programming for every member of the family – even children. 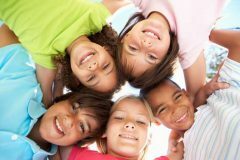 The Kids’ and Teens’ Circle is a safe, friendly space for people ages 5-16 to play, share, and learn from other children who know what it’s like to have a cancer diagnosis in the family. Kids’ Circle has been so helpful to families that CSCVVSB offers it in three locations: Westlake Village, Oxnard, and a new program in Canoga Park (started in June). Although it looks like a group of kids hanging out, playing and giggling, there is an important aspect of healing and support going on at all times, under the caring supervision of licensed therapists trained to work with people affected by cancer. “My children learned to open up and talk about things with each other, with other participants, and with adults in our family in ways I didn’t learn until much later in life,” says CSCVVSB Speakers Bureau member Mark McAlister, whose children attended Kids’ Circle in Westlake Village. Oxnard Kids’ Circle facilitator Diane Martell, LMFT has more than three decades of experience counseling children. She remembers a participant who flourished when he joined Kids’ Circle in Oxnard after a family member was diagnosed with cancer. “He had been acting out and his grades were slipping,” says Diane. “When he started coming to Kids’ Circle, he was able to open up about his fear of his family member dying when their hair began to fall out, and the jealousy he sometimes felt when they got so much attention.” After his experience in Kids’ Circle, this young man was accepted into his school’s gifted program and became a star athlete. The new Canoga Park Kids’ Circle will offer Spanish and English-language support to young people in the San Fernando Valley with a loved one with cancer. We are thrilled to welcome Associate Marriage and Family Therapist Jackeelyn Mendoza to the CSCVVSB team as facilitator of this group. Please click on the links below, to download a flyer for a Kids’ and Teens’ Circle nearest you. Canoga Park-Kids’ and Teens’ Circle NEW!!! Amina Pasha is a Girl Scout in High School. She is currently working on her Gold Award. Amina has dedicated herself to improve her community by supporting CSCVVSB. Her Gold Award is to create an interactive journal for self awareness, and have users take the negative they and release it through art. 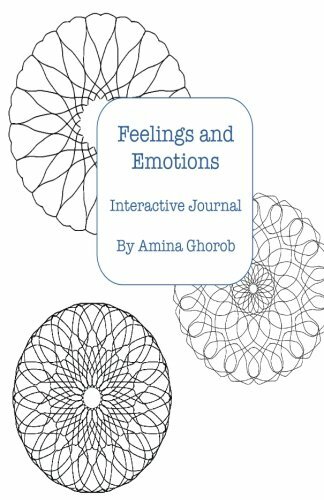 Amina’s Journal is available on Amazon. All proceeds from the book benefit the Cancer Support Community VVSB.